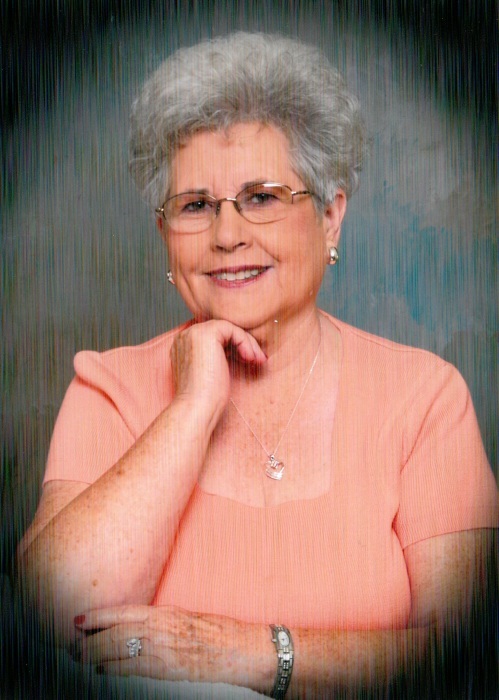 Graveside service for Mary Dandridge, age 79, of Sulphur Springs will be held at 3:30 PM on Monday, April 8, 2019 at Shooks Chapel Cemetery with Bro. Ray Evers officiating and Bro. Jason Connor assisting. Visitation will be held from 1:00 to 3:00 at Trinity Harvest Church of God prior to the service. Mrs. Dandridge passed away on Wednesday, April 3, 2019 at Christus Mother Frances Hospital. Mary Lorene was born on January 22, 1940 in Stilwell, OK to George and Belle Dearman. She married William “Buddy” Dandridge in Claremore, OK on May 14, 2010. Mary worked for Bealls and was a member of Trinity Harvest Church of God. She is survived by her husband, Buddy; sons, Don Cope and wife, Lori of Caddo Mills, Ronald Cope of Mt Vernon, Patrick Cope and wife, Kim of Paris; daughters, Jackie Carter of Sulphur Springs, Michelle Petty of Ft. Worth, Comella Sartin and husband, Bryan of Yantis; step-sons, Bill Dandridge and wife Leanna of Collinsville, OK, Chuck Dandridge of San Antonio, TX, Tony Rogers and wife, Alisa of Van Buren, AR; step-daughter, Donna Pardue of Broken Arrow, OK; 12 grandchildren and 12 great grandchildren; several brothers and sisters. Mary was preceded in death by her parents and several brothers and sisters.